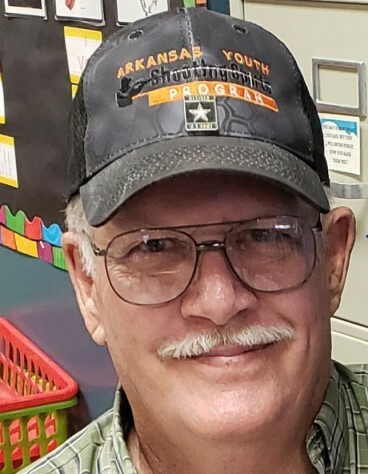 Bobby Joe Mansfield, 74, of Marmaduke, passed away on Tuesday, April 2, 2019. He was born August 7, 1944, to Lester and Betty Mansfield. Bobby enjoyed deer hunting and working in the yard. He enjoyed repairing lawnmowers and spending time with his grandchildren. Bobby was preceded in death by his parents; sister, Bonnie Matheney; and son in law, Ben Stirnaman. Survivors include his wife, Shirley Mansfield; sons and daughter in law, Bobby E. Mansfield, Justin and Tanya Mansfield all of Paragould; daughter, Misty Stirnaman of Rector; brothers, Ronnie and Jerry Mansfield; sisters, Peggy McDonald, Kay Walker; and grandchildren, Cynthia Barham, Trevor Gatewood, Kirsten Mansfield, Trinity Mansfield, Emily, Jaydin, Macy Stirnaman. The family will receive friends on Friday, April 5, 2019, from 11:00 a.m. until service time at Phillips Funeral Home. The funeral service will begin at 1:00 p.m. in the Center Hill Chapel of Phillips Funeral Home with Bro. Kim Bridges officiating. Burial will follow at Harvey’s Chapel. Jeremy Mansfield, Jason Mansfield, Chris McDonald, David Nelson, Kerry McDonald, Rodney Hampton, Trevor Gatewood, and Bradley Green will serve as pallbearers. Honorary pallbearers include Onis Bearden and Larry Pruett.